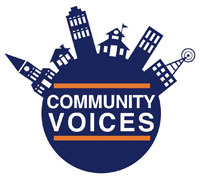 You are here: Home / Community Voices / Since when did our commitment become conditional? Since when did our commitment become conditional? In the past week, we saw another young, black unarmed teenager, Tony Robinson, gunned down by a white police officer in Madison, Wisconsin, the city recently voted the safest place to raise a family. In the following days, there were protests and a call to action against the officer responsible for Robinson’s death. As expected, blacks became so up in arms with the murder (and rightfully so) that thousands have marched in the city of Madison intent on allowing their voice to be heard. This knee-jerk reaction stems from our continued reactionary mentality without looking at the big picture. Did it ever occur to people that the reason this deplorable situation continues is because many feel well within their rights to do so? After all, we continue to kill each other at astounding rates; why not help advance the infectious genocide even faster? Here’s another question: why is this dedication so conditional? 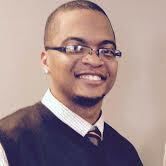 We’ve seen the stories of Dontre Hamilton, Tony Robinson, Eric Gardner, Trayvon Martin and Oscar Grant, but what about Tracolli Surveyor, Javon Whiteside, Lavelle Felton, Raheem Johson or Eric Madison, just to name a few? The latter list of names doesn’t look too familiar to most of you, right? That’s because they were killed by BLACK MEN! Suddenly, we turn into the U.S. military, honoring the old “Don’t Ask, Don’t Tell” rule. Why? Because snitches get stitches, remember? There is no real dedication to the preservation of our black people because if there was, then we would be in just as much of an uproar about killing each other as we are when “the enemy” is the perpetrator. Last I checked, friendly fire was frowned upon more so than enemy fire, but I could be mistaken. This level of thinking within our community resembles a big sibling picking on the younger constantly, yet not allowing for anyone else to do the same, as if to say, “I can do it, but you better not!” We have accepted the internal calamity that plagues our communities, but no one from the “outside” is permitted to do the same. Good people, this ought not be so. We should be just as frustrated with the rising rates of black-on-black crime and violence in the same manner we are when it is white-on-black, if not more. This is by no means something that is meant to excuse the actions that have occurred. I do believe that there are some systematic shortcomings that need to be addressed immediately, but that also includes the system of corruption that has developed in the black community as well. We have to take control of our neighborhoods and demand the safety and protection that our children deserve, but that means being willing to stand against someone that looks like you. Our community has developed a misguided sense of loyalty or hidden code that protects those who are causing the most harm, but complain about being frustrated with the problems that exist. At some point, we have to take a stand or, as Alexander Hamilton stated, we will fall for anything, and for some time now, the black community has been in a free fall. Yet, this is absolutely fixable if we can all make the conscious decision to remain dedicated to the complete overhaul of the urban chaos that is prevalent, whether it is white or black infested. To the point – in total agreement, continue the work, you have a great future in improving the quality of life in this city. So you are saying that community does not care when black men (and others) are killed by other black men? Or are you saying that media does not care to highlight when community comes together for vigils and prayers and marches surrounding those deaths? Last I checked, those deaths are thoroughly investigated, names and faces blasted all over the news, suspects apprehended and charged to the fullest extent of the law. Trigger happy cops – we can’t even get an indictment… let alone data detailing the number of slayings of unarmed persons by police. I said nothing about the community not caring, but I do believe that many in the community have become so desensitized to the violence we perpetuate on ourselves that it gets swept under the rug as “it is what it is”! I’m not talking about the actions of the law enforcement and news outlets; I’m talking about the community’s responses to the issues!! When we care and fight for each other, then external forces have no choice but to respect our positions and demands, but we haven’t arrived to that position yet!